Ethno Pop Rock (hardly Metal though?) with the symphonic touch?? 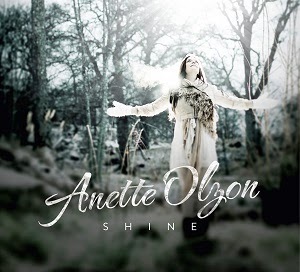 File this under outside the box and different as the former Alyson Avenue and Nightwish singer goes the full circle and beyond with her first solo album. Regarding the Ethno part of the album, obviously not the entire time, however, tiny fragments, bits and pieces. For instance, a track like 'Floating', basically the 50/50 mix of Kate Bush and Enya influences and I do enjoy its 'magical-forest' flow and the atmospheric, dreamy sound. "Falling", Nightwish-lite with plenty of string orchestration. "Moving Away", the territorial work of Blackmore's Night. To be perfectly honest. The two closing tracks, "One Million Faces" and "Watching From A Far", could just as easily have been straight off the latest albums by Agnetha Fältskog (ABBA). Both are extremely mellow ballads and if you came here looking for loud guitars and screaming metal? simply look elsewhere or preferably the other way. It's rather 'posh' than 'mosh' and the glossy and overall soft effort may not please the narrow-minded listener?